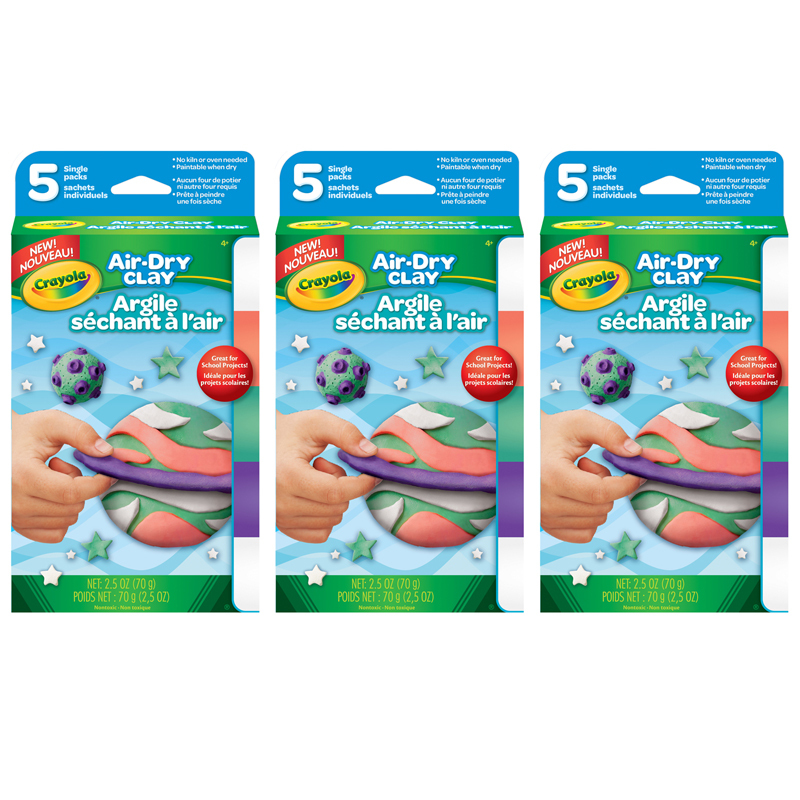 Ideal for crafts and school projects, the Air Dry Clay lets young artists create bright, colorful sculptures without the heat of a kiln or oven. This natural earth clay air-dries from wet clay to a hardened solid over two to three days. 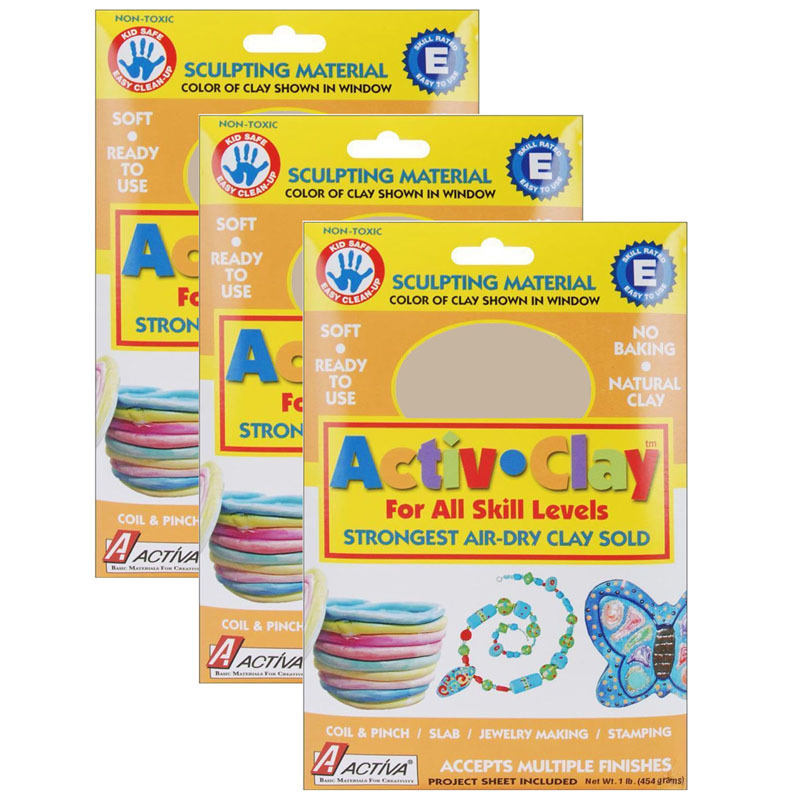 Easy to mold and sculpt, it is ideal for creating decorative items, plaques, or mini-sculptures. Smoother, finer, and more moldable than traditional clay, Crayola Air Dry Clay softens with just a few drops of water. Simply add water to the clay, let the excess evaporate, and begin molding to create an original sculpture. With Air Dry Clay, kids can create a huge range of different products using all the traditional sculpting techniques, such as pinching, coiling, score-and-weld, and slabbing. It is also well-suited for creating impressions, textures, and stamps. Each individual set contains 1lb of clay in 5 single clay packs. Sold as 3 sets for a total of 3lbs. in 15 clay packs. 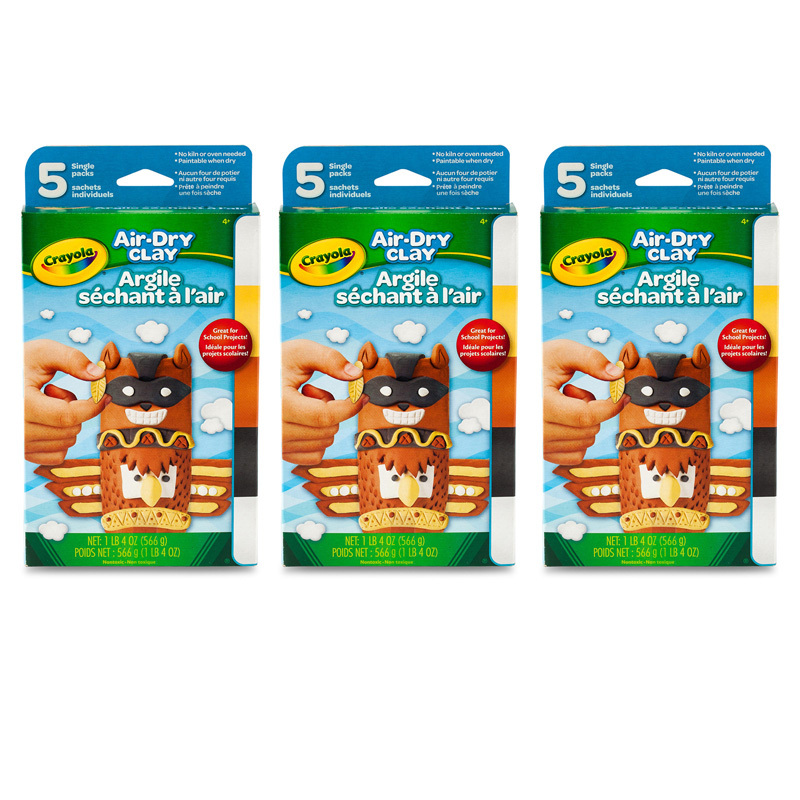 The (3 Pk) Air Dry Clay Bright Variety5 Per Pk can be found in our Clay & Clay Tools product category within the Arts & Crafts. (3 Ea) Activ-clay White 1 Lb.